The «Prehistoric Pile Dwellings around the Alps», as an international serial site, have been inscribed on the list of UNESCO World Heritage Sites since 2011. 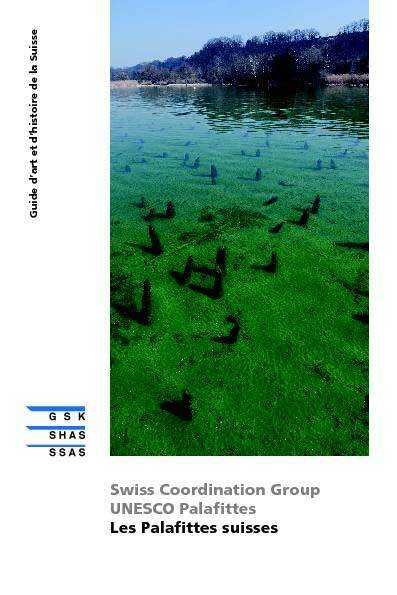 Of the 111 sites in six countries, 56 are located in Switzerland. The characteristic feature of prehistoric pile dwellings is that they were built in or near water. The guide gives an insight into the rich history of the pile dwellings since their discovery in the mid-19th century. The Swiss sites and finds are presented and their chronological, geographical and cultural classification is outlined. A list of 20 recommended routes with useful information serves as a guide to a selection of sites which help visitors explore and experience world heritage by means of educational trails, round tours, museums and archaeological parks. 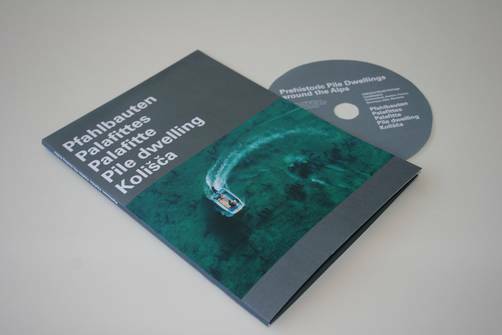 "Pfahlbauten - Palafittes - Palafitte..."
The 104-page publication shows the many facets of the pile-dwelling phenomenon on more than 340 colored pictures. 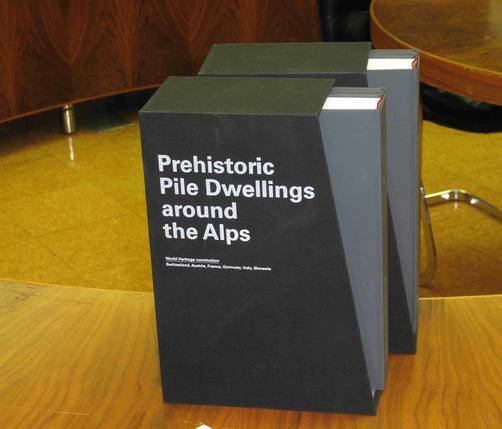 They are accompanied by a short but explicit text based on the work of two specialists of the pile-dwellings, Dr. Peter Suter (Archaeological Service of Canton Bern) and Dr. Helmut Schlichterle (Landesamt für Denkmalpflege Baden-Württemberg). This booklet explains the everyday life of the population living between 5000 and 500 BC (agriculture and animal husbandry, techniques and commerce, clothing and ornaments). The most fascinating finds from Switzerland, Austria, France, Germany, Italy and Italy are richly illustrated. But you can also discover the methods used to preserve the endangered sites for the future generations and the efforts done to bring these sites nearer to a wider audience. 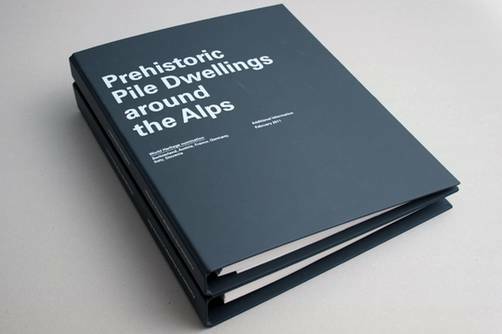 This CD contains the entire application dossier as well as the information brochure ‘Pile dwellings’ in digital form. By letter of 14th December 2010, ICOMOS asked for clarification of several issues (Additional Information), above all a clarification on the contribution of each single component site to the overall Outstanding Universal Value of the Pile Dwellings. This Additional Information was submitted in Paris together with a revised Management Plan Version 2.0 as well as with a reduced list of 111 component sites at end of February 2011. This additional Information replaces certain chapters of the nomination file. The nomination file is the main part of the candidature. It was written following the recommendations of the UNESCO and submitted in January 2010. As a consequence of (result of) the required detailed specifications particularly concerning the number of registered sites, some oft he chapters of the nomination file are no longer up to date (see 'Additional Information').